Unlock Tokyo’s rich history and cultural heritage and get a taste of contemporary life in the capital at the same time on this personalised experience. With a Local Host by your side, who is as passionate about history as you are, discover the secrets of Tokyo’s past as you explore together and see how the city’s history has helped shape it into the vibrant and modern metropolis it is today. Discover iconic historic attractions as well as getting a little off the beaten path, and see how the fusion of traditional and contemporary has helped to create the city's unique culture. 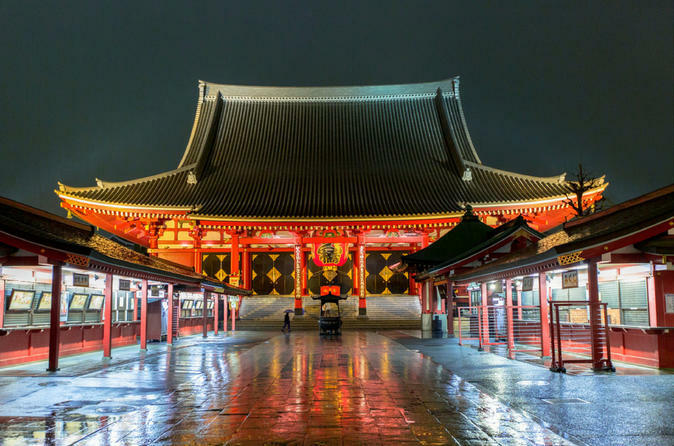 Join a Local host who is a fellow history lover and discover a culturally rich and diverse Tokyo, seeing how the city fuses the most cutting edge, modern styles with its traditional heritage. Immerse yourself in Tokyo's culture and history through exploring famous sites as well as unique, less well-known venues whose history is known by the locals. Stroll through neighbourhoods famed for their ancient roots and learn about the different Japanese imperial eras, and then experience bustling Tokyo as it stands today. Your Local Host will personalise the experience to suit your needs and preferences, and will be able to offer local insights into the area too! Spend time getting to know your local and learn about other historically significant and interesting things to see and do in the city as well as discovering some secret local spots and hidden gems!